During our last visit to Epcot we spent a lot of time exploring the pavilion where The Seas with Nemo and Friends ride is located. We were amazed while viewing the giant aquariums full of some of the stars of the Nemo ride. There is also a manatee room that showcases Disney’s commitment to the rehabilitation and care of marine life. The entire pavilion gets guests up close to these beautiful creatures and cast members are on hand to answer questions about the residents of the seas. We are currently planning another trip to Walt Disney World and I was excited to learn that there is a scuba tour of the aquarium that is offered for an additional fee! The tour lasts 3 hours with 40 minutes of dive time and includes the gear (tanks, mask, etc.) needed for a trip under the “sea”. During the tour, guests will see a variety of fish, turtles and even sharks! In order to enjoy the tour, guests must have a valid SCUBA certification. Those with a Padi certification and Annual Passholders enjoy a little discount off the $175.00 price tag. SCUBA certified guests ages 10 and up are permitted to sign up for the experience. Children between the ages of 10-12 must be accompanied by a paying adult (over 18) who is also SCUBA certified. No jewelry of any kind can be worn during the experience. This includes wedding rings. No photography or videography is permitted while in backstage areas. Photos and video are permitted in non-backstage areas. A video of the experience will be available after the tour for an additional fee if guests choose to make the purchase. Guests should bring their SCUBA certification and check in at the Main Entrance of Epcot 15 minute prior to the tour. Guests who are not going on the tour, are not allowed backstage but can view their friends and family members from the tunnel in the upstairs viewport of the pavilion. You can see your SCUBA diving companions 1 hour after the tour begins. The first hour consists of the divers preparing and getting their suits and gear ready. Diving equipment is provided, however guests must bring their own bathing suit. Guests are also permitted to bring a mask if they do not wish to use the one that Disney supplies. You will forfeit the cost of the tour if you are a no-show or cancel within 2 days of the experience. Guests must book this experience in advance by calling 407-939-8687. The tour has limited availability so book sooner rather than later. More details regarding the tour can be found here. I am really looking forward to sharing photos and more details when we experience it first-hand in a few months! 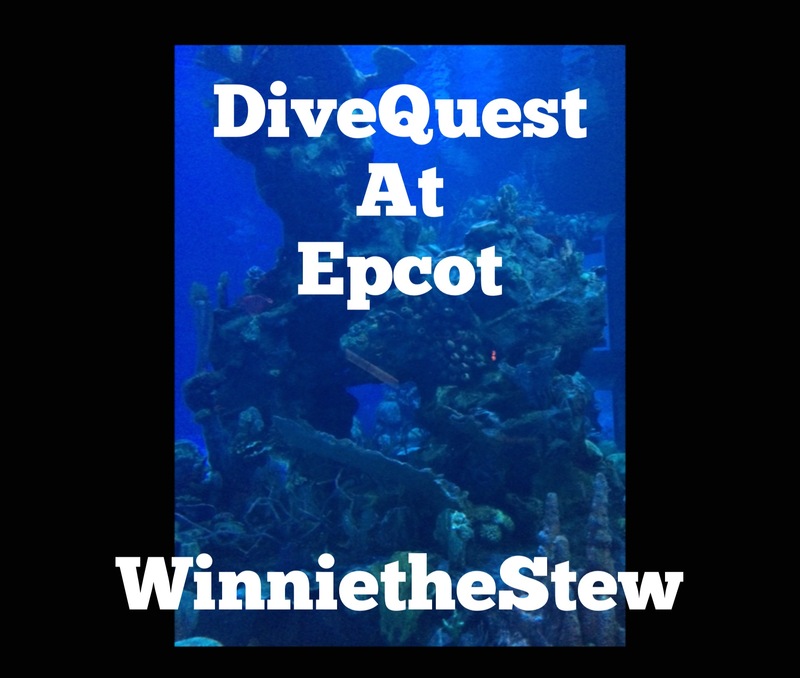 This entry was posted in Epcot, Tours, Uncategorized and tagged Divequest, Divequest at Epcot, Epcot SCUBA Tour, Epcot Tour Ideas, SCUBA at Walt Disney World, Tour at Epcot. Bookmark the permalink.